FraudLabs Pro email validation feature helps merchant to validate their customer’s email address. This feature is important because it ensure that the customer is using a legitimate email address when making a purchase. 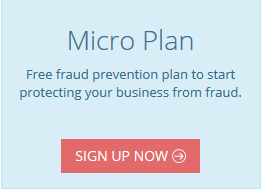 This feature is absolutely FREE and is available for Mini plan onwards. How to validate customer’s email address? Click on the Transaction menu. In the Transaction Listing, select the order that you want to review, then click View Details. Click at the Question Mark next to the email address shown. The result shall be returned within a few seconds. Green tick shows that it is a good email whereas the red cross means it is invalid.